In addition to survey work discussed above, a special module will be designed to focus on ‘sacred places’ that seem to have been of special significance to many generations of people, often extending from prehistoric times through into the Christian era. This is something of great interest to many project volunteers, but which is rarely discussed in a meaningful way. What is it that makes such places so special? And why in some cases, having been so special, were they apparently abandoned and forgotten about? How do these places relate to aspects of the natural landscape? Can we see how and why they were ‘adopted’ by early Christianity, and their importance reinforced? 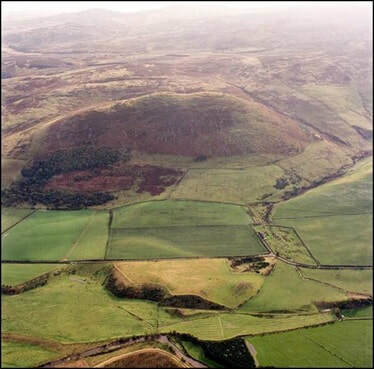 The classic such place in the north-east region is Yeavering, near Wooler, but there are several others that we will also consider. This module will also consider whether we can recognise ‘sacred places’ in the landscape that are (and perhaps never were) embellished through the construction of monuments. Exactly how this module will be structured has yet to be determined, but it will be delivered in a way that involves as many project volunteers as possible. The results will be of widespread interest, within the north-east and elsewhere.